The Gina Amalfi Dress is an ultimate showstopper. Very colorful and it makes your figure feminin. The Peru Como Dress is flirty and feminine and one of our favorite silhouettes without sleeves. Falls to above the knee. 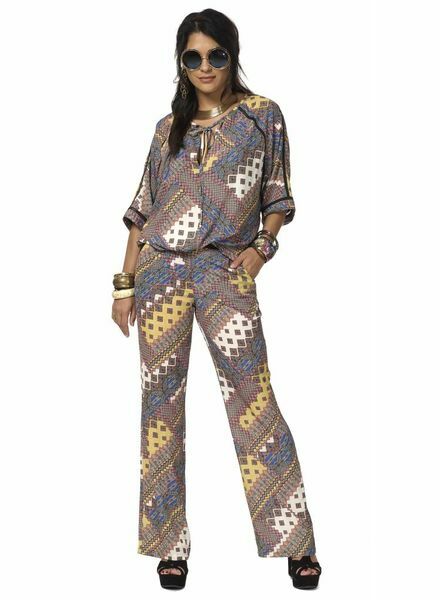 The Patsy Nairobi pants is a wonderful light, wide leg pants. Perfect for the spring and summer time. 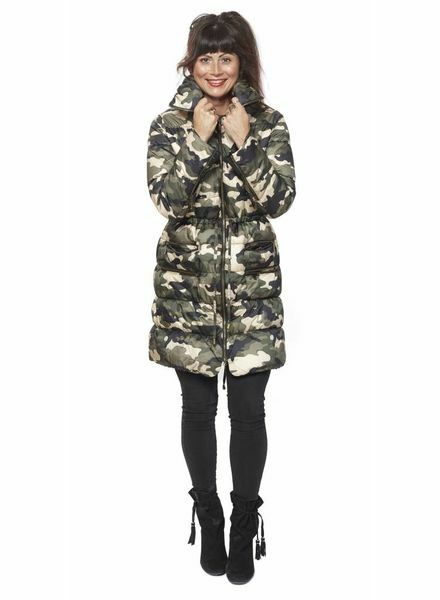 The Sonia Camouflage jacket makes your outfit complete. A sporty and cool jacket protecting the rain and cold with a beautiful big collar. 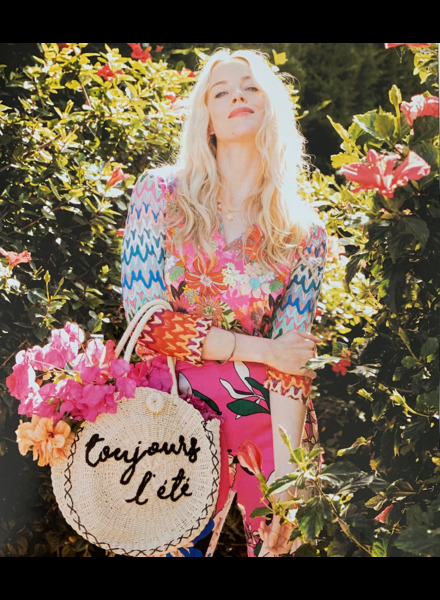 The Lisa Amalfi dress is one of our favorite designs always in our collection, every season in a different fashion print. 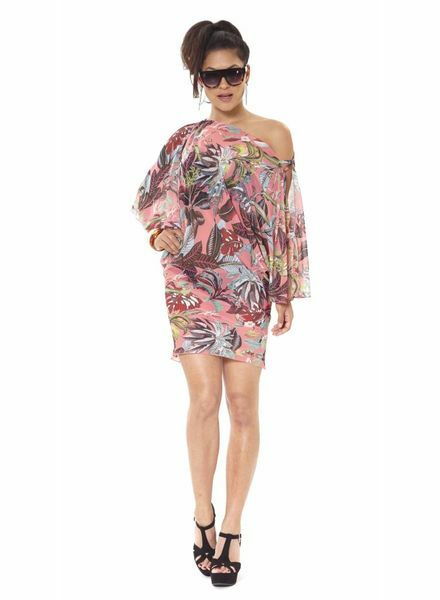 The Tanit Bambu dress is one of our favorite designs in our collection, every season in a different way with other prints. 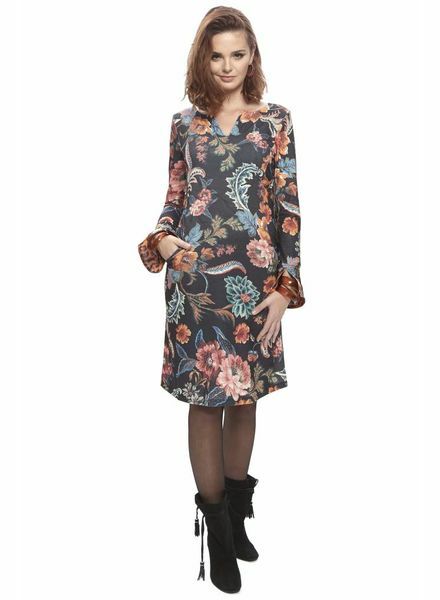 The Jenna Vegan tunic is made from a lovely soft viscose satin fabric. The tunic is wonderfully comfortable. The Jenna Florida tunic is made of a lovely soft viscose satin fabric. The tunic is wonderfully comfortable. The Yasmin Peru Skirt is a comfortable skirt. Easy to combine with other prints or with Ofelia Maui Top for a matching look! A real must have for this season. The Foxy Bahia top is made of a beautiful fabric. The fabric is very comfortable to wear. The top is a basic that should not be missing in any cupboard. The elegant Sheila Malaga dress is made of soft, elastic and comfortable fabric. The dress has short sleeves. Falls just above the knee. The Carmen Palm Springs skirt is made of plissé chiffon and is super soft and easy to combine. 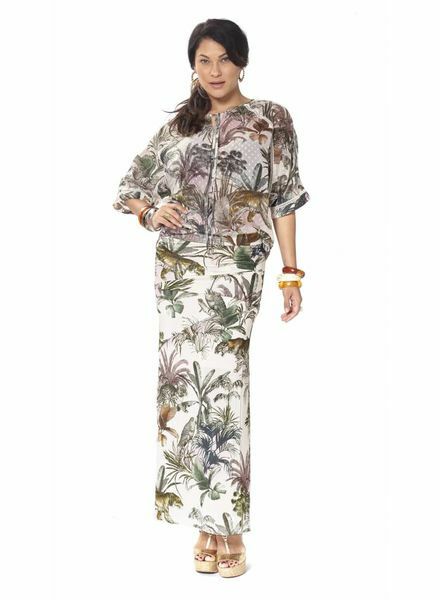 Combined with a Jane Palm Springs Tunic you create a fantastic outfit. Want to go for a more easy look, combine the skirt with a tanktop. The elegant Christy Leo Green skirt is cut from stretchy jersey knit and is easy to wear. The A-line skirt with pockets and golden buttons for a flattering fit. The fit is a bit big take one size smaller than your normal size.